Cooking Tai snapper two days in a row! Today's menu was acqua pazza with tagine-style donabe, "Fukkura-san". 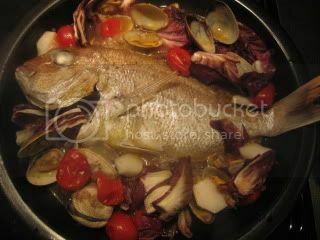 Acqua pazza is one of my favorite dishes to cook in Fukkura-san (here's my basic recipe). This time, I made a Japanese-style acqua pazza with my homemade irizake and dashi stock. Irizake, in a sense, is like a fortified sake concentrate, so you can make such a rich and complex flavor Japanese-style acqua pazza just by using it. Once the ingredients are ready, the process is very simple. 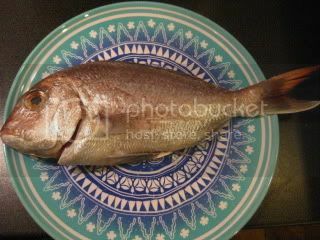 First, tai snapper was getting ready to be broiled just until the skin gets lightly browned. Aromatics were sautéed, then broth and lightly-broiled snapper, along with the rest of the ingredients, was added. In about 6 minutes, Irizake Acqua Pazza was ready! I loved it so much. 1. Season both sides of the snapper including cavity with salt. Set aside for 30 minutes. Pat-dry with paper towel. 2. Lightly coat both sides of the fish with olive oil. 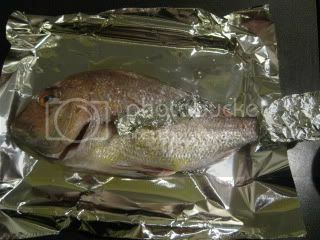 Wrap the tail and fins with aluminum foil. 3. Broil both sides of the fish until lightly-browned (about 3 minutes each side) in the oven. Remove the foil. 4. 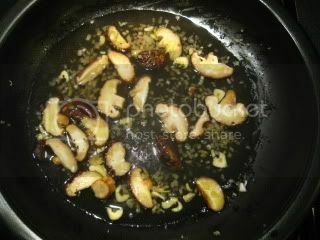 Heat 1 tablespoon of olive oil in "Fukkura-san" and sauté the garlic, shallot, and shiitake mushrooms until shiitake softens over medium-heat (about 3 minutes). 5. 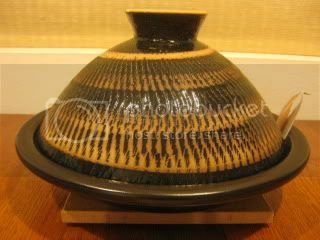 Add the irizake and dashi stock. Bring to simmer. 6. 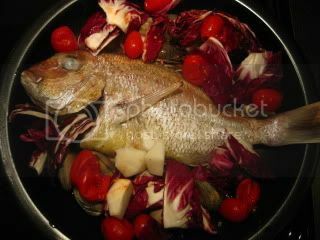 Lay the snapper in the center, and spread the clams, turnip, tomatoes, and radicchio around the snapper. 7. Cover and simmer for 5-6 minutes or until the fish is cooked through and clams are open. 8. Remove from the heat and sprinkle some chervil and black pepper on top. Drizzle some olive oil. Serve immediately.